Offered either furnished, unfurnished or fully serviced basis, this 820 sq. ft. office space can comfortably seat up to 6-10 people plus storage and is also partitioned to offer an additional meeting / board room or additional office. Also included is the use of a meeting room and a boardroom that holds up to 20 people. Visitors can make use of the hotels nearby, including the DoubleTree by Hilton. This centre is approximately 4 miles north east of Bristol City centre, adjacent to the Aztec West Business Park, 1 mile from the M5 motorway. This attractive office development provides a number of space solutions, along with generous parking. Easy to access from the M4/M5 and Bristol Parkway railway station is one of the prime reasons why big name neighbours in healthcare, motoring services and finance choose this location top base their business. Attractively set in a mature landscape the modern business park offers a range of meeting rooms, a business lounge, private light-filled offices and coworking space. There is the additional benefit of round-the-clock access. Near the M4 and M5 motorways this high-quality business park is close to Woodlands Lane and is set amongst well-landscaped grounds, surrounded by a nature reserve that is ideal for walking and jooging when you are away from the office. The 1,000 sq. 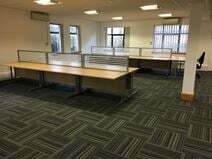 ft. ground floor space has been recently refurbished and can be split into two separate serviced offices. There is super-fast WiFi, meeting room availability and a large board room. An old converted barn has been renovated into a contemporary office space. It offers spacious working area, ample parking space and broadband facilities. 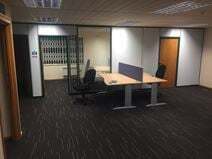 The office is unfurnished hence leaving the choice of design and furnitures to the occupiers. The monthly rent is inclusive of all service charges so there is no hidden cost. 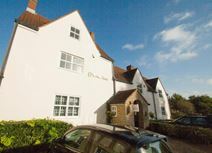 The offices are set in a rural location, close to A38 which provides easy access to M4/M5 motorways. This traditional lease space is bright and airy and have recently undergone a major refurbishment. Close to the centre of Bristol tenants also benefit from excellent car parking ratio of 1:205 sq.. This centre has an on-site management team, as well as meeting room availability, 24-hour access, free parking, break-out areas and access to kitchen facilities. There are nearby places to eat, as well as a hotel, and Patchway Railway Station offers services to a number of destination. Nine miles away is Bristol City Centre, with an extensive range of amenities, as well as an Airport for international and domestic travel. This listing offers a selection of all-inclusive, individual office pods which are built from shipping containers. The high-spec office pods have many fantastic facilities, including; air-conditioning and heating, high speed internet access, breakout space and kitchen and toilet facilities.The office pods have space for up to six desk and are available for £1,000 per month. There is plenty of on-site car parking and also secure bike storage.